Understanding your energy charges and what to do about rising costs. Australians are using less energy today than in the past, yet energy costs seem to get higher every year. The Australian Bureau of Statistics reports that although there has been a drop in household energy usage, prices went up by 61 percent between 2008 and 2014. To understand why this is happening it helps to know how to read your energy bill. Your energy charges are made up of two main components, the supply charge and the usage charge. The supply charge is fixed, and no amount of energy conservation on your part will bring it down. The usage charge, however, is where you might have some wiggle room. Consumers can compare prices and plans from a range of suppliers in their area by using ElectricityandGas.com.au. This is a great way to find an affordable plan that offers lower usage costs, so you pay less for what you use. In fact, comparing energy suppliers may be a more effective way of cutting costs than reducing your usage. As we’ve seen, reduced usage does not automatically translate to lower prices. Australians are using less energy, but the cost of production hasn’t decreased, which is sending the wholesale energy prices up. When these prices increased, the cost had to be absorbed somehow, and—you guessed it—that cost is being passed through to consumers. According to the Australian Electricity Market Commission (AEMC), half of all household electricity charges can be attributed to network costs. If all of this leaves you feeling hopeless, don’t despair. Saving money is still possible with ElectricityandGas.com.au. The service has made finding a great deal simple. In a few clicks you’ll receive a quote on energy plans in your area, and an energy consultant will help you make the switch. There’s no complicated paperwork or long discussions with the supplier’s representative. All it takes is a quick chat on the phone with an energy consultant and it’ll get sorted. The service is free and there’s no obligation to sign on to a new plan. 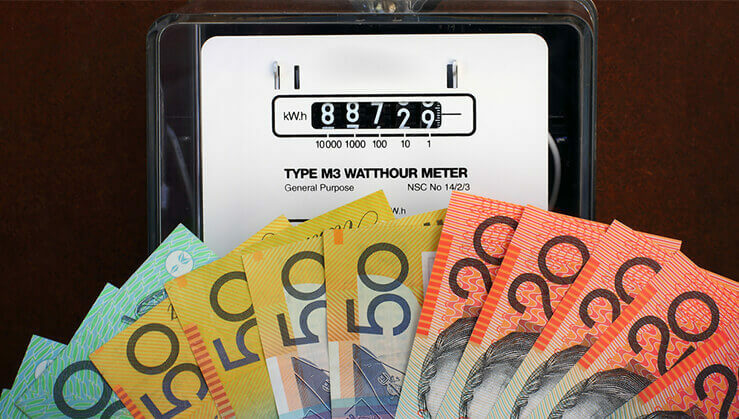 Whether you’re moving house, establishing a business, or just sick of paying too much on your current energy plan, ElectricityandGas.com.au can help you make an informed decision about how to save.